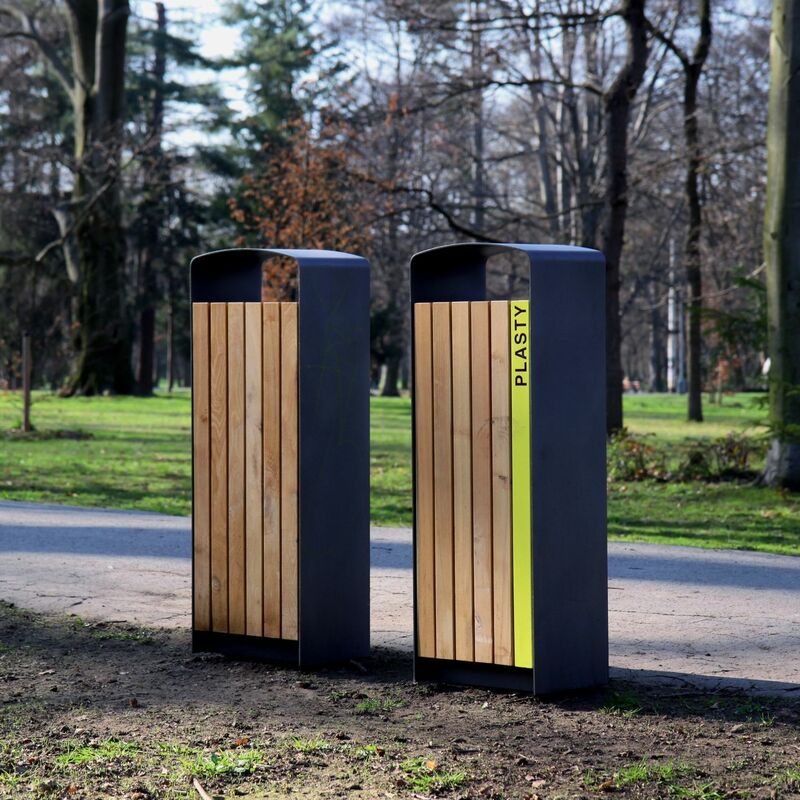 Public trash can / galvanized steel / wooden / contemporary - PRAX by David Karásek & Radek Hegmon - mmcité 1 a.s.
PRAX by David Karásek & Radek Hegmon mmcité 1 a.s. 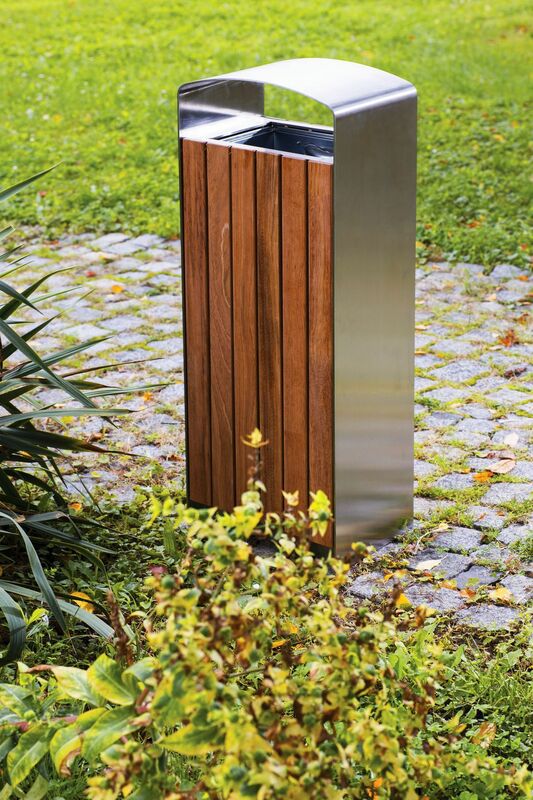 The steel outer shell of this litter bin depicts a modern yet almost classic contour with a gently curved canopy. 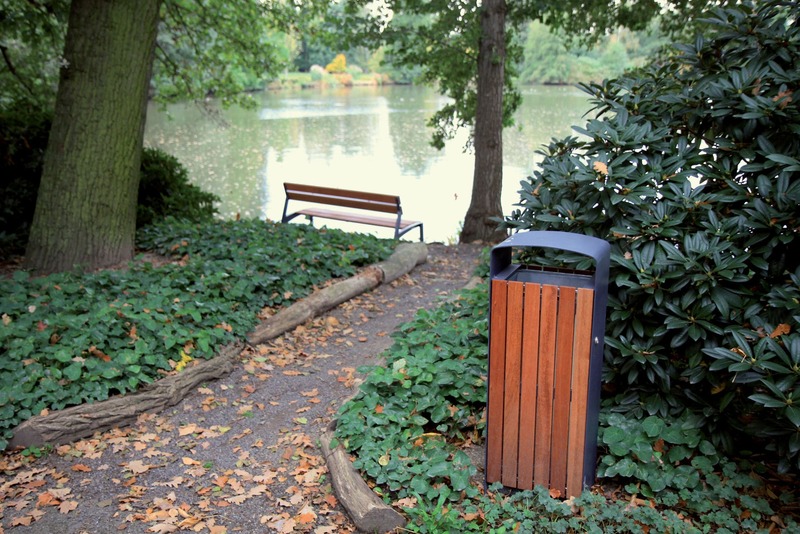 A simple wooden door completes the sedate character of the bin. 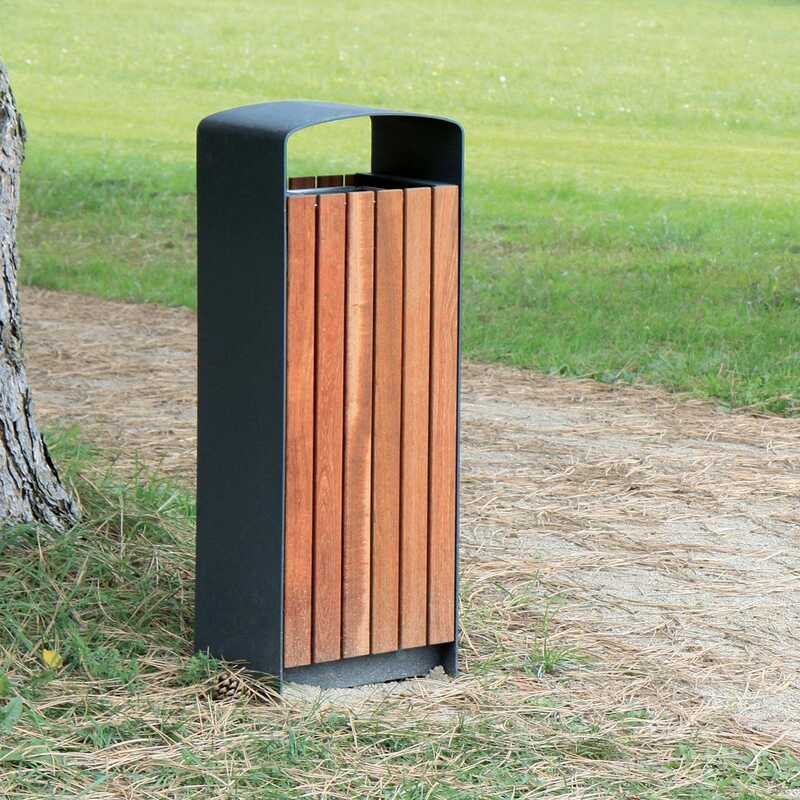 It is designed to be installed in a wide variety of urban and park settings. 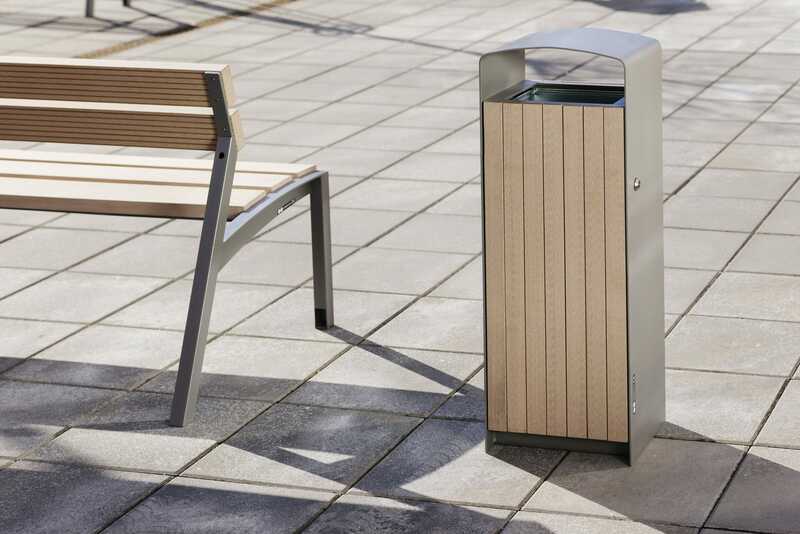 A variant with a door made from perforated steel sheet has a more industrial character, while a door from high-pressure laminate pushes the bin towards an almost furniture-like look and offers to possibility to apply any graphical motif. Now, there is also a high-volume variant with a volume of 120 litres. The outer shell is made of galvanized steel sheet coated with a powdered paint finish. A lockable door is made of acacia or tropical wood or galvanized steel sheet coated with a powdered paint finish, or from high-pressure laminate in the outdoor design. An intermediate-size insert basket is made of galvanized sheet metal or a holder for plastic bags (120 litres).